Kirkdale occupies an area of flat land on the banks of the Mersey, formerly consisting of sand hills, for which this part of the Sefton coast is still well known. It is one of the oldest coastal settlements, pre-dating Liverpool itself, and containing evidence for centuries of human occupation. Chirchedale, Domesday; Kirkedale, 1185; Kierkedale, 1200. Origins: from Norse kirk (church), and dale (valley / ‘road to’); therefore the name may mean “the road to the church”, referring to the road from Liverpool to its mother church at Walton-on-the-Hill. This would help explain the fact that there are no traces of an ancient church in the area, and only scant sign of an original village. Kirkdale Road was an important route into Liverpool too, once the emerging town became a market destination for traders and producers across Lancashire. Morley Street (on a site now occupied by football pitches) can be considered the next best thing to a founding village: it was the place where settlement existed before Liverpool engulfed the area, and can be seen on the early Ordnance Surveys. Kirkdale Marsh lay to the north of here, while Beacon Gutter, a small stream running to the south of Blackfield House, formed the southerly boundary with Liverpool. James Picton, historian and architect, could write in the 19th century that Kirkdale consisted of two hills, with a road (the ‘dale’) running between. The Blackfield Terrace area was one hill, whilst the second hill can be found in the area formerly occupied by the Liverpool Industrial School (see below). A stream ran between the two hills, from the suburb of Walton to the place where Canada Dock now sits. This route can now probably be identified with the rough direction of Bank Hall Street, which runs south west towards the River Mersey from Stanley Road. The stream entered the Mersey at Bank Hall, an important building in the history of Kirkdale. Kirkdale became home to the Moore family from the 13th century onwards. Up until that time John de la More had owned a house – Moore Hall, first mentioned in 1236 – in the north part of the town of Liverpool. But the family began to acquire lands in Kirkdale, and eventually built a new home out there. This was called Bank Hall, and the ‘Old Hall’, which gave its name to Old Hall Street, was left to the family’s Lady Dowager to live in. The Old Hall continued in use until the 19th century, although it passed into the hands of the Stanley family as the fortunes of the Moores waned. The Perry map of 1768 shows the Old Hall as a large house with wings and gardens to one side. In the hundred years which followed this, the house was gradually altered and eventually demolished. Bank Hall itself was a moated house, with a causeway between two lakes giving access to the building itself. It stood on the corner of what are now Bankhall Lane and Juniper Street, although the roads have seen some reshaping in the intervening years. The coast to the west of Kirkdale was, before the arrival of the docks, popular as a destination for bathers and those seeking the fresh air. Later, when the Wellington, Huskisson and Sandon Docks were built, Southport replaced Kirkdale as the preferred holiday destination for discerning Liverpudlians. While Kirkdale was still an open landscape, a large gaol was constructed, incorporating a courthouse. Eyebrows were raised in Liverpool around the need for such as huge house of correction, which was said to be able to hold the entire population of Liverpool at the date it opened (1818). The building replaced the previous gaol, closer to the seafront, which had been described by the prison reformer John Howard as ” insufferably dirty, grimy and wretched”. In 1835 the court moved to Liverpool itself (eventually to St George’s Hall), but the gaol’s catchment area covered the whole of south Lancashire. Prisoners who would previously have been sent to Lancaster now came to Kirkdale, and a good number were executed here in public. The building itself was at the end of Sessions Road (appropriately), a place used since its demolition in 1897 as a recreation ground. The layout used the fashionable model of the ‘Panopticon’, with two towers in the centre which each looked over its own wing. The prison officers were thus able to watch the prisoners in their cells without the prisoners knowing precisely when (or by whom) they were being watched. This school was another state-run institution, for the teaching of ‘pauper’ children, and stood on a site to the north east of the Gaol. It opened in 1845 to the designs of Lockwood and Allom, and was considered an attractive building at the time (some illustrations show a rather palatial-looking building). The 400 children were taught reading, writing and arithmetic, as well as religious instruction and useful trades like carpentry, shoemaking and needlework. Eventually the buildings proved too small for the number of children needing to be taken care of, and new buildings were designed by Picton & Son. When the need for such institutions fell out of favour in the 20th century, the building became the Kirkdale Homes for the Aged and Infirm, and were eventually taken into ownership by the council and Hospital Board. Now, however, the buildings have been demolished, and a network of modern roads and houses occupy the site. A village so close to the ambitious and growing town of Liverpool could not expect to stay rural for very long. The old Moore Hall on the edge of town was already becoming surrounded by buildings as the 18th century wore on, and was altered and demolished to make way for road improvements from 1820 onwards. Picton tells us that Kirkdale was still mostly rural at the beginning of the 19th century, and was still only half-developed by around 1850, and the 1851 Ordnance Survey backs this up. But new roads were being added onto Liverpool’s northern fringes to cater for the growth in businesses which were spreading out from Dale Street and Castle Street. As Liverpool’s wealth increased, the richest merchants looked for room to build the large houses that would reflect their status in society. Kirkdale was one of the first areas to become a suburb, and a fashionable one at that. As the Industrial Revolution approached, the area of Kirkdale began to be developed with large houses and new roads, along with other desirable places like Toxteth Park and Mosslake Fields. Two arrivals in the 19th century put paid to Kirkdale’s days as a semi-rural suburb. The first was the Leeds-Liverpool Canal, which brought trade and goods into north Liverpool, and immediately attracted a huge number of businesses to its terminus around Leeds Street. The second was the Liverpool & Bury (later the Lancashire & Yorkshire) Railway which opened in 1848. This not only encouraged even more industry into the area, but itself contributed to the smokey, sooty atmosphere taking over from, no doubt, the mellow airs of cut grass and cow dung. Kirkdale’s proximity to the docks was always going to make it a great place to build houses for the thousands of casual workers who were too poor to live more than walking distance from their potetnial employers. As Liverpool’s growth reached its peak in the late Victorian period a grid-iron pattern of terraces crept across the landscape. The richer classes – from the clerks all the way up to the shipping line owners – moved further from the town centre. The clerks tended to move to Anfield and Walton while the richest built new villas in the countryside around Woolton and West Derby, or north of Bootle. Finally, Kirkdale was incorporated into Liverpool itself in 1835, and was one of the earliest suburbs to do so. The swathes of unsuitable housing which blighted places like Kirkdale in the 20th century were the inevitable result of unscrupulous landlords throwing up as many properties as possible for the lowest cost. The bombing of the Liverpool docklands during the Second World War spilled over towards Scotland Road and the surrounding houses, and combined with ambitious slum clearances the post-war council took the opportunity to reshape the inner city. Parts of Kirkdale became a blank canvas on which to draw in physical form the shape of Liverpool’s hoped-for resurgence. The most obvious feature, looked at on a map or from the air, is the loop road leading to the Kingsway Tunnel entrance, but many other parts of Kirkdale were reshaped too, and now the area immediately north of Liverpool city centre is dominated by large industrial units and warehousing, where there was once a mixture of dense housing, and a multitude of workplaces. Many of the roads in Kirkdale, such as once-major thoroughfares like Bevington Bush, have changed beyond all recognition: reshaped, remodelled, diverted, demolished. The living and working conditions of Kirkdale have no doubt improved a lot since this process took place, but communities were separated when the houses came down, and nothing can quite reproduce the way of life experienced by millions of Liverpudlians in the 200 years since the area urbanised. Some people stayed in Kirkdale, and Logan Towers, one block, was the tallest prefabricated building in the world. Liverpool rivalled, or maybe even surpassed, London as a centre of high-rise living. Philpott RA 1988 ‘Historic Towns of the Merseyside Area: a survey of urban settlement to c1800’ Liverpool Museum Occasional Paper, No 3, 60 pp. O would like to know more about Back Westminster Road and the two very old cottages that are on the right hand side ?they have thick walls , and untill recently the did not have windows in the side elevation. i remember when i as a child they earth floors . These cottages could be very old indeed. Looking at the First Edition Ordnance Survey map (1:10,560) they are in a still rural area. Two major buildings nearby are Kirkdale Gaol, and the Liverpool Industrial School. The houses which still exist on Bootle Lane are marked, and it seems very odd that a row of large houses and a row of small cottages are squeezed back to back between large fields. Perhaps the cottages were associated with the houses, for example as service buildings. Alternatively, perhaps the cottages are older, with the newer houses on Bootle Lane being built on the main road. Looking at the layout of the gardens, it could be that the larger houses had only short gardens (having been built later), with the rest of the land belonging to the cottages, Back Westminster Road running between cottage and garden. The two cottages you mention are the only ones left out of the whole row, which extended north to what is now Goodall Street. It’s amazing what survives down the centuries. interesting to read your comments and yes it is amazing what survives through time. Including me. I was born in one of the dank cottages and lived for 23 years in the other and if you really want a tale about Romanies, poverty, betrayal, racism, education, violence and many other social issue’s then I have the true story that should be documented in a book. I remain extremely angry at my early life as a Romany and the manner in which we were treated or ill treated down “the Lane”. Thanks for your comments. Yes, I’m always astounded by the hardiness of many of those born into mid-20th century Liverpool poverty. I’m from a rather pampered generation by contrast, and wouldn’t last a week in those conditions! If you do want to write a short account of your early life experiences then I would be more than happy to post something here, fully attributed to you. I’ve done something similar before (see e.g. http://www.liverpool-landscapes.net/2011/09/toxteth-some-distant-childhood-memories/). My readers are especially interested in the landscape, how the places shaped your experience, but whatever you have to offer would be fascinating. Hi Martin and thanks for your comments. However I am not sure if this is the best format to document the true story. It is much bigger than a few paragraphs would allow but thanks anyway. I need to speak with a ghost writer to pen the whole story. It’s marked on the 1967 map as the “Glob Works (Wire Rope & Cable)”. Hope that answers your question! I live in 234 Westminster Road and was told when we bought this house it was built in 1825 and was formerly known as Bootle Lane. I would like to see and read about the area and in particular old photos/images of my house and area surrounding. So far have not had much success are you able to help? I grew up by you & your Sister, remember the ponies & shire horses further down the lane. Your collie dog that ran fast to “exit stage left” I remember your family with great fondness actually. Hi Colin I think my father used to own no 1 Back Westminster Road, I have the receipt here for it. He bought it off A David Lewis a Glazier in 1948 for 250 pound. Only just discovered this website and read your letter. In the late 50s and early 60s, I knew a Jim Enright who lived in or just off Westminster Road. His father made (I think) hand-carts. Any relative? Jim would have been born in 1935 or 1936. Until the age of 13 in 1950, I lived on Stanley Road. I’m trying to find out what area in Kirkdale my father was born. His address on his birth certificate says 21 Sharp Street. This was in 1918. How would I be able to find anything out about his house and area? I hope this gets you started in your research (there are plenty of books on the area), but is there anything specific you’d like to know? I have been doing a bit of research into my late mother’s family tree and found that on the 1911 census her grandmother (Amelia Andrews} had a confectioner’s shop at 137 Westminster Road. I wondered if you would be able to give me any information about this, unfortunately there are no family members (to my knowledge) that I can ask. If you would like more info I can help you with that. I have found her marriage license amongst other things. If you already have a full history please forgive the intrusion. Have just seen your reply. Although I don’t have Amelia’s marriage certificate, I do know the details of her marriage but would love to hear from you with regards to any information you may have. I grew up from when I was 5 yrs old in one of the two remaining cottages you were talking about in Kirkdale, I remember the stone walls and floors and how cold it used to be in the winter, I was there until I left to get married. Hi, I am currently researching the Molyneux family name, and research has shown that the family were Corn Millers, employing 7 men in 1851. The census shows the address as Molineux Mill & Cottage, Bootle Lane, Kirkdale, and the 1861 census shows the address as Windmill Yard, Bootle Lane, Kirkdale. Do you have any information on the mills? I am assuming that they no longer exist. The main reference to this windmill I’ve found is on Wikipedia, which states that it burned down in 1834, and references the book Windmill Land by Allen Clarke (1916) as its source. However, I’ve not been able to get at a copy of the book myself to check. Its early demise means it doesn’t appear on the Ordnance Survey maps (the earliest of these being 1851). A windmill (“Spellow Mill”) appears on some earlier maps just north of Bootle Lane (now Westminster Road), though I’m not sure that this is the same one – it’s north of the still-present Spellow Lane, and may have used Bootle Lane as its address. If anyone else has an opinion on this do respond below. I’ve added a scan of the Yates and Perry map of 1768 to the Historic Liverpool Facebook page to let you make up your own mind. I hope this gives you a start in your research on the mill. You mention you are researching Sharp Street. Sharp Street was one of two side streets which ran off Sandheys Street. The other being Wilkin Street. They ran into Archer Street which ran from Walton Road, down past St Marys park and church and finished at Westminster Road, just by the baths. My family lived in Sandheys for a very long time and everybody knew each other. What was your father’s name. This link gets you to a map that shows the position of Molyneux mill, Bootle Lane. The windmill that burnt down on Bootle Lane, 1834, was the mill that was owned by Jeremiah Shaw. Shaws windmill at Bootle entirely destroyed by fire. This mill was one of the oldest in the neighbourhood of Liverpool. There having been one on site upwards of 200 yrs. On the map above it shows New Mill which was the one that jeremiah Shaw built in place of the windmill that was destroyed by fire. His daughter and her husband ran New Mill on Bootle lane, after Jerry’s death in 1840. I do have a picture of New Mill but I am not sure how to get it on here. Any problems with the links let me know. Thanks so much for those links – excellent sources which I will use more in future. It’s also good to see something describing the continuity between two parts of a building’s life (or rather, the reincarnation of a building destroyed). If you’d like me to put your picture (fully credited of course!) under perhaps the Landmarks section of this page then you can email it to me at martin [at] historic-liverpool.co.uk. have not been able to replace our camera yet. The picture is also under glass in a frame. Thanks for adding your memories of Kirkdale to this page. Lots of visitors to this site seem to have fond memories of the area. My great-great grandfather Thomas Sanderson was a saddler who operated from his home at 41 Westminster Road up until 1920. I know it’s a long shot, but would anyone have any photos of this property or nearby buildings,or does anyone else out there have any stories or links connected to him. If not, please excuse the intrusion. Mywas listening to my mum and Uncle reminiscing about the olden days and they were trying to remember the name of the old pub which was on the corner of Kirkdale Rd/Netherfield Rd around the war times.Can you help with this I have treid researching this and asking around but with no luck. Sorry it’s taken me so long to reply! Was it the Cumberland Arms or the Crown Vaults? I’ve found this great website on lost pubs in Liverpool, and these two are both in the area (around Netherfield Road). http://www.closedpubs.co.uk/lancashire/liverpool.html Have a look on that page, as there are a few others which might fit the bill, and do post back if you have any luck! Recently a Photo Was Printed on The Im From Kirkdale Web Site of Fountains Road From The Corner of Westminster Road ,Showing St Johns Church on The Right and A Comment Was Left Saying That on The Left of There was A Jewish Synagog The Photo Was Dated Early 1900s Was There a Large Population of Jewish People Settled in Kirkedale at That Time. There’s been a Jewish community in Liverpool since the 1800s, and although one of the first places to see a large number of Jews was around Lime Street / Brownlow Hill, there were certainly other places where communities grew up. Kirkdale is an area of Liverpool which naturally gained a range of immigrant communities, as housing was affordable for those coming in on ships, and particularly in the early 1900s, when the greatest number of Jews arrived in the city. Hi Martin, Looks like my Great Grandfather Arthur Lewis Beyer lived at 89 Lambeth road in Kirkdale in 1901. Do you know if his home is still there ? I tried googling it and I think its still there … but who knows it could be a knewer build in its place now. Would be neat to know if anyone remembers our Beyer family. All of Arthurs children remained in England to my knowledge except my Grandfather Albert Leo Beyer. Alane. You’re right, the road is still there but all the houses currently on it are only around 30 years old. In 1901 the street was packed with terraced houses – the type with small back yards and a rear alleyway. These were demolished in the middle of the 20th century as part of the city’s ‘slum’ clearance schemes, although to what extent these were slums is often a matter of debate. Maps from the 1950s and 1960s show gaps in the rows of houses, with the modern street layout appearing in the 1980s. Re LAMBETH ROAD some of the old terraces are still there. ( upto about number 51). My Greatgrandmother and family lived at no 100 in 1891, then Harcourt St around the corner in 1901 and 1911. In 1913 my grandmother married a guy from Crealock St, also round the corner . Hi Martin, Thanks for the reply and your help. Thats sad to hear Great Grandpa’s house is also gone, just like Great Great Grandpa Beyer who lived in Anfield in Ash Leigh, his Villa is also gone. I guess with Great Grandpa being the last born out of 8 children, he was not well off living in Kirkdale, must have been a rude awakening for him coming from a home of priviledge. We will be in Liverpool next year so hope to find some hidden treasures still remaining. Rumford place is still there right ? Thats where GG Grandpa had a business, along with his son I believe they occupied 11 and 12 Rumford place. Ernest Beyer was a cotton merchant, so hope to find some information on him, maybe his home still exists ?? ! Hi Alane, yes Rumford Place is still there, right in the middle of town not far from the Town Hall. Hope you can find out some stuff about your ancestors There’s plenty of Beyer family history around the web, so something should come up! Good to hear Rumford place still exists ! I am trying to locate where ROMEO STREET either is or would have been in Kirkdale. I am assuming as I cannot find it on the map that it no longer exists. Does anyone have any idea where it was…I would be most grateful for any information. Sorry, it’s taken me almost a month to reply – perhaps someone has already helped you! Romeo Street was one of a handful of streets named after Shakespeare characters which was situated near Bank Hall Station in north Liverpool. My Plan of Liverpool – North Sheet shows the location of Romeo Street as it looked in 1890. Hope this is of some help. Can you tell me more about where the tobacco factory was? The flower streets first appear on the 1890 map, and so were part of the rapid expansion of the city at that time. I’ll see what else I can dig out about them. Thanks for the extra info, plus the link to the photo. Always good to add more detail to what’s on this site, especially when it comes to finding out things for other commenters! Much appreciated. I worked at Tillotson’s and at the BA in the 1960’s, I lived on Howley St, those factory’s were on Industrial Road I believe. I was born in Brunswick Square Kirkdale. Any information regarding the history prior to it being redeveloped would be greatly appreciated. I found this detail about the painter Joseph Campbell who lived in Brunswick Square on the Liverpool Museums blog: http://www.liverpoolmuseums.org.uk/online/pre-raphaelites/news.aspx. There’s also a photo on the excellent Fotolore website showing the Brunswick Square area in 1976. I have a map on this website of Brunswick Square from way back in 1890, so there are definitely a few resources out there covering its history! Brunswick Square was unadopted,and I’m pretty sure that it had seen much better days.We moved when I was a small boy in 1955,and I can remember my grandmother saying that pre-war it had been gated. Maybe the gates and railings were taken down to make Spitfires! I wonder if you can help. I saw a BBC program about historic buildings and it featured a large derelict tudor style building in Kirkdale. I have lived in North Liverpool all my life and had never heard of these – are they actually in Kirkdale? I don’t recall any buildings like that in Kirkdale, though of course the programme may have had the exact location wrong. There’s Everton library which is… sort of Tudor, and not a million miles from Kirkdale. It’s also next to a mock Tudor pub. I’ll see if anyone on the Facebook page knows of other buildings in this style around Kirkdale, or who saw the programme. Brilliant – yes! I didn’t realise that building was still standing. Hope this helps you, Pete, and thanks Kevin for your comment! My father was born in 1924 at 39 Pluto Street. I know this street no longer exists, and I presume it was demolished during or after the War. I was wondering if any photos exist of Pluto Street, or if you can give me any information about the houses, number of rooms ., when they were contsructed etc ? Just come across this site and if you are still interested. My family the Nolan’s lived in 25. I have a letter dated 18 Sept 1852 posted marked Liverpool and noted as being written at “Morley’s Point”. Do you know where this may have been located? It was written by my gggrandfather who was working there at the time. I have been unable to find any reference to this location on a map. Any help is greatly appreciated. Very interesting information on this area…thanks. I lived in latham st and from the house you could see B.A.British American Tobacco Factory.The huge clock was very useful indeed. later on we moved to a house between bat and puddifers scrapyard at the top of sandhills.i think it was the only house on that side of commercial rd. On behalf of my wife I wonder whether you or anyone else can help me? My wife lived in Newby street when she was younger and she attended a Doctor’s by Westminster road/Foley Street. I wonder if anyone remembers it, as she’d like to get hold of some of her old records (Or does anyone know how we’d go about getting hold of these in another way)? I’m not much of an expert on medical records, but there’s a discussion here on the Family History website about possibilities of getting old records. It might help you begin your research. Was it Dr Simon and Dr Edwards surgery. I am not sure that it actually had a name but it used to be my doctors as well. I moved away in my teens, but it wasnt far from the swimming baths on Westminster Road. Martin, I need a good history of the Kirkdale area, particularly the flower streets neighborhood. This is for a group of stories I’m writing, a tongue-in-cheek detective series. All of the crimes are social, most legally not crimes–which is my point. But I’m shy on history. I’m not Scouse. I’m a former colonist who had the double-edged sword experience of living in the flower districts in 2009-10, Snowdrop St. If a longer discussion is needed, please feel free to get to me privately. Thanks. I am very interested in the houses on Westminster Road, I do actually live in one that was built in 1825 apparently they where the first to be built are you able to give me any information, or how I could find out? 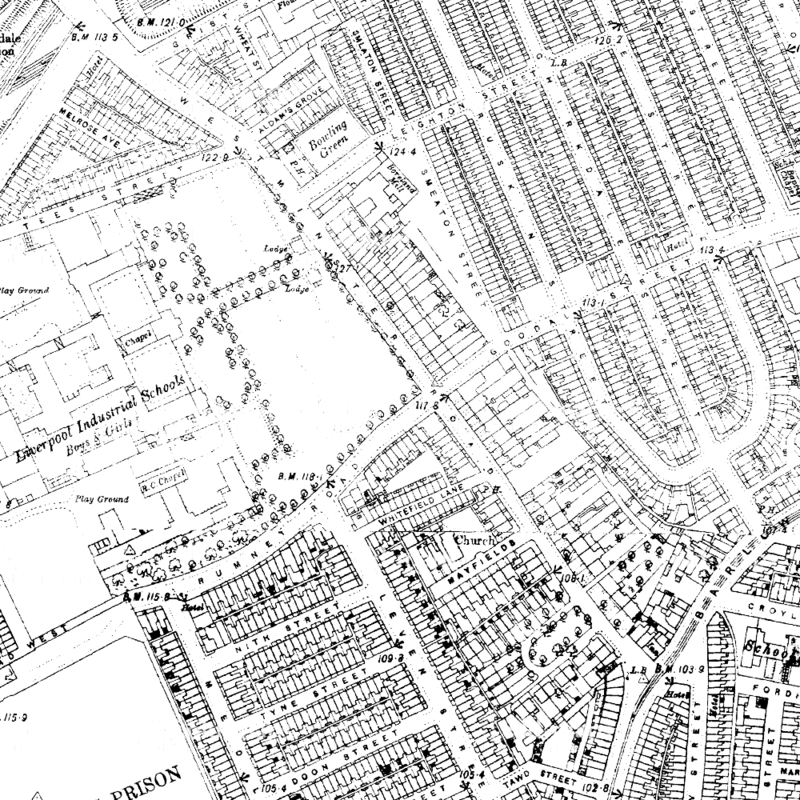 The website Old Maps is a great place to start – you can search for Westminster Road, Liverpool in the box on the home page, and explore different eras of maps using the toolbar on the right hand side. If you let me know which specific houses you’re looking into, I might be able to have a look at some of my own library and see if there’s anything else helpful for you. Does anyone remember the TANNERY, Orwell road?. Thanks for sharing that image Reg – very interesting indeed, especially with the extra information you’ve added from local people. Definitely worth a browse. There’s some other great photos on there too, so thanks! Hi Martin. Thanks for your kind comments about my pictures. I am always happy to make a contribution to excellent local interest sites such as yours. Just came across this site and noticed you mentioned the Mussell’s. My mum Elizabeth (known as Betty) was a Mussell. She grew up at 7 Agnes Road with her sister Marie (passed away last year) and brother Tony (now in USA). Their Dad (my Pop)George Mussell worked at American Tobacco and their Mum (my Nanna)was Alice (nee Ralston?). Tony married Vera ? and Marie married Tommy Jones and they both brought up their families in Agnes Road. My mum moved out to Huyton/Roby. I have a photo of my Mum as a bridesmaid aged 3, holding hands with the pageboy. The pageboy was Brian Craig who eventually became her husband… and my Dad! My Dad played football for the Melrose with Tony Mussell and Tommy Jones, and (I think) his youngest brothers Steven and Robert Craig. My name is Jane & I now live in BC Canada, I can tell you that with certainty that we are related, Elizabeth Mussell’s grandmother was Mary Holden b. 1875 & died in 1918. Mary Holden is my Gt. gt. aunt. They are Elizabeth’s parents & Elizabeth then went on to marry Brian Craig. I have been researching the family tree for many years and would love to share info with you! Martin can pass on my email to you, if you’d like to contact me. Thank you for putting me in touch with Joe – I have responded to him directly & yes we are related (distant cousins) so hopefully I can fill in any gaps or give them a family tree which is actually as big as a forest!! I lived in 107 North Dingle from 1949 until 1960. I went to Fonthill Road School. I lived at 113 north dingle, I remember you and your brother Richard such happy carefree times. your dad was the manager in irwins all sadly gone. I remember you and Graham and your mum, and Joe Dodds horses. We used to catch a ride when they came back from the docks. Long time ago now. The CrowCaroles lived next door and the smiths next door to you. We had the tannery opposite. My best friend at school was Jean Cannon she lived in Becket st. I would like to find photos or any information on Pluto Street. Where would it have been in todays kirkdale map? Pluto Street was between Vesuvius Street and Smith Street (which both still exist). There was another road, Hewley Street, between Vesuvius and Smith Streets, so I think Pluto Street would be roughly where this north-south row of houses is now. Does anyone know of a confectioners shop in Kirkdale possibly Westminster road around 1901ish run by Catherine Merrick? I am trying to find out if it existed and where? Or if there was a confection shop in that area where she may have worked? There ws a shop on the left hand side on Westminster road,not far from the Police Station and fire station. I can remember being in my pram when i was tiny ,mum had been for a loaf of bread and i am nibbling he corners off the loaf. can’t give any more information as i was only little. My mum worked in a confectioners on the corner of Medlock St and Westminster Rd in the 1930’s………it was owned by a man named Chris Delaney, and was called Delaney’s………..they owned two shops, the other was along Stanley Rd, near the New Strand, near to the Salvation Army…….hope this is of some help! Thanks for your query: Delamore Street is quite easy to find the date for, because on the 1890 map of Kirkdale nearby roads like Roxburgh Street and Carisbrooke Road, as well as parts of Delamore itself, are laid out but not yet fully built on. So I’d say the whole area was being built up around the end of the 19th century. The Liverpool Record Office may be able to help you narrow down the date more if you’d like, but 1885-1890 seems very likely. Before they were built, the land was covered in the Walton Nurseries (a business growing young plants and trees), which lay just outside the village of Walton-on-the-hill. The kind of people who were moving into these houses when they were new would have been the lower end of the middle class – the clerks and office workers who caught the tram into town every day and worked in the offices around the Pier Head, Castle Street and Dale Street. Other residents might have been small business owners such as grocers or bakers. The numbers of these people would have been increasing rapidly as Liverpool became increasingly business-oriented and wealthy in the 19th century, and as the population grew. Walton and Anfield were two other area where these people might have lived. The range of people who might be haunting you is potentially quite a wide one! 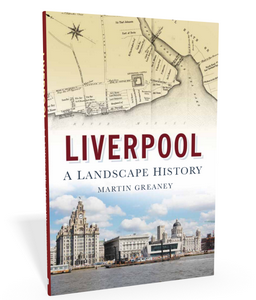 PS: There’s more about the changing population types of north Liverpool in my book Liverpool: a landscape history. I lived in Spellow Lane in about 1948 – 1954.There was a small school nextdoor to us. We lived at no 36. I have tried to get a photo of the large houses, they have been demolished and there is just a green space now. I have seen houses all around Oxten Street, County Road etc but none of Spellow Lane. Can anyone help. It is a long while since your post Brenda, I am looking for similar – but 62a Spellow Lane, My Dad and family lived there 1948 to 1970’s when demolished, but we have no photo, directly opposite the Goodison Park entrance next to the Church. You may even have known each other, Damian and sister Christine? I wonder if you have tried the records office? Does anyone remember the ice cream parlour called aindows. I thought it was on the corner of barlows Lane walton. but I have been told it was burtons. A few doors away my grandmother had a shop that sold drinks hot chocolate sasparella etc. I think young people met up there. Does anyone remember this. Regarding AINDOWS,this was on Walton Road,just before the corner ,Burtons was next to it. We would go window shopping and then go in there. I remember a smaller shop ,coming back towards town,,this could be the shop you are thinking about. I was born in No.45 Chirkdale Street in 1936 and I can remember clearly the ice cream parlour. Before WW2 broke out it was called “Fusco’s” the surname of it’s Italian owner. When Mussolini and Hitler joined forces poor Mr. Fusco’s “parlour”was trashed by an angry mob. I remember seeing a placard in the broken plate glass window. It said theat he was a naturalized British subject and he had two sons fighting in the British army. Shortly after this attack on his business Mr. Fusco’s family changed their name to Aindow which, I understand, was his wife’s maiden name. It was a great day for local children when he was able to make his delicious ice cream again after the Victory in Europe. My older sister and I stood in long queue of children clutching basins and fruit dishes for our “victory” ice cream. It was heavenly! Can anyone tell me when and why 45 Chirkdale Street and the houses on each side were pulled down sometime in the 1980s? I would be most grateful. With kind regards from Elizabeth. Thanks for your info on the ice cream parlour. There was a lot of trouble before both World Wars for German, Italian and other ‘enemy’-owned shops. Such a shame. The houses on Chirkdale Street were probably knocked down in advance of a housing development that got no further (money was rather an issue in the 80s on Merseyside! ), or perhaps they were deemed uninhabitable, though that’s always a contested issue. Hello Elizabeth my family the whites lived at 26 chirkdale st until 1977 and moved to Westminster close on the estate off Westminster road. I still don’t know why! And the area is now just landscaped grass. It was a great street with great people. Hi Elizabeth, I just saw your post while researching about Kirkdale. My dad Alan Stevenson was born in Chirkdale street in 1936 too. His cousins lived in Ruskin St. He has many happy memories of life there, he remembers the street party at the end of the war. You were probably there too! Hi, I am researching the Vernon family history, and am trying to find any information regarding someone who my uncle, Robert Vernon worked for. It is a Mr Revell, Team owner, Foley Street. Robert Vernon was killed in action 1916/1917, just wondering if anyone might have some knowledge of what the team was, and who Mr Revell was? Hi John I went to St Johns school around your time,that is when I was in attendance.We lived in Sellar St, opposite the baths.I remember Tillard St well.Ballards on one corner, Roaches on the other,Mr taylor,Daybell,Burke,the huts in Latham St.
can anyone tell me what stanley hospital, kirkdale, was re-named when it reopened in 1966? It is now a sheltered accomidation called Fountains Court. does anyone have any photographs of brunswick square in the 50s, 60s, 70s? My dad grew up there. He used to tie wire to the doors and climb the trees in the square and pull the wire to knock on the doors ha. I managed to find a couple of photographs of brunswick square and his ford taunus was on one of the photographs outside his house. He got very excited when he saw a fence he had built as a kid for a neighbour too! If anybody could forward me any photographs that would be great. Thanks. There’s a discussion on the Yo Liverpool forum with a couple of photos, and a map, of Brunswick Square in the 1970s. Hope this helps. Ha! i remember doing the same with front doors but we also placed fireworks thru letter boxes wich was utterly stupid but we were around 9/10 years old, also remember a rough set up called the stanley flatsand near by was the Melrose pub. hungry thanks to mam (mother). There’s quite a few pictures (inside and outside) of Braemar Street, 1952 – exactly the time you were living there! – on the Liverpool & South West Lancs Genealogy forum. It looks, like you say yourself, a poor neighbourhood, but sounds like you had a similar childhood to many others, complete with sweetshops and the pictures. Great to hear your memories of the time. Mam’s are superstars! Just noticed this week the Princess is being demolished . I lived opposite in a small section of Selwyn St from 1954 to 1978 when I got married . Remember working very young for a shop called Cleanso on Wessy rd opp the Bridwell. Us Catholics went upstairs to Westminster arf school and the C of E where downstairs , opposite the Kirkdsle homes. Mr Toner ran the Birkenhead Ales shop opposite Kirkdsle Station , Louis (lady) had the sweet shop , mrs Frediani was In 13, Mavis and Brian 15, Evans in 19 (us) Phylis and Billy Khan 21 , 23 ? , 25 my Ban and Gag The Greens , Mr and Mrs Coffee 27 . Peter McGintus mum had a shop down Marsh Street . My Dad owned Cleanso . but i cant recall your name Bernie. how old are you now. Great to read your comments and memories, if you have any photos or more info you can email me at. He used to be a cow keeper and used to deliver milk in the area. This is a long shot – I have just returned to this site after a long absence. They are living in 1939 at 76 Candia Street and still carrying on as Dairymen. The cottages that you mention on Westminster Rd appear to have been replaced by a pub today, or am I looking in the wrong place? I hope I’m incorrect as it would be such a shame if they had been knocked down. I wonder if New Mil may be behind the Old St Lawrence School, perhaps where the playground is as it has a strange hill which would be an ideal position for a windmill. Am trying to track down information re the Palantine public house at 251 Walton Rd Kirkdale. My maternal grandparents were publicans there until 1926/7 when John Hawthorne Campion my mat grandfather died. Does anyone have any information? Research into my family history shows my Great Grandfather Samuel Conley as being transferred from Kirkdale Industrial School in or about 1897 – this information has come from the Liverpool Records Office. But I am unable to find out what happened to and who his parents were. I may have a birth certificate for the right Samuel Conley which does show parents named, but need confirmation. Any help anyone can give would be grateful. Hi, I was born in Newby Street in 1964. My parents and grandparents lived here on opposite sides of the road but I cant remember what numbers. Recently I took my partner to see tthe house I ws born in, and its completely different now. Long shot but does anyone have any pictures of newby street in the 60’s or any information about the road? Also, my dad and grandad are and were called R.A Philpott… could they b related to the Philpott RA 1988 ‘Historic Towns of the Merseyside Area: a survey of urban settlement to c1800′ Liverpool Museum Occasional Paper, No 3, 60 pp. Thanks for your comment. RA. Philpott is Dr. Rob Philpott, the Head of Field Archaeology at Liverpool Museum, and still works there down at the Albert Dock! There may be a family connection, but I don’t know of Dr. Philpott’s place of birth! 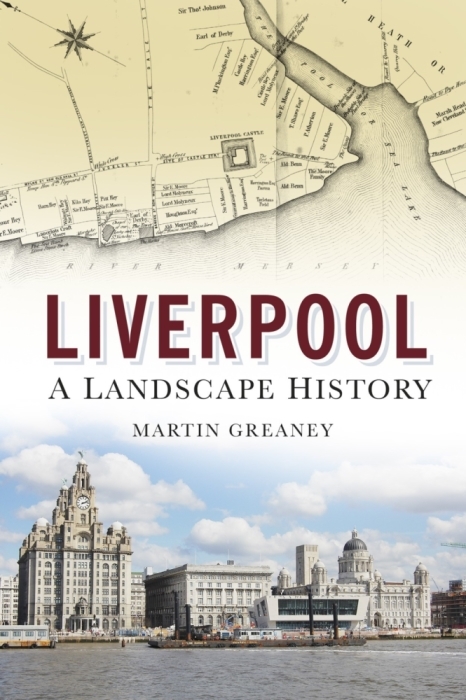 🙂 I used a couple of his books as sources for this site as well as my own book, Liverpool: a landscape history. No, no relation at all I’m afraid! I lived at 37 Salop Street, Newby Street backed on to our back entry, my brother John had a best mate named Dougie Lynch. Dougie’s house back door came out on to our back entry. I remember as kids we would play in the old stables at the bottom of Newby Street. Great days. My grandparents lived in Barry St, just off Walton Road at the Astoria end. In the next street, Fountains Road, lived my great aunty and uncle. I’ve got happy memories of paying in those streets, now demolished. Does anyone know of any pictures of these streets ? I’ve only seen one from the 1953 coronation taken at the top of Barry St.
Linda my fathers parents (Jones) lived at 39 Barry Street as did aunt /uncle (Masterson) at 59. We have also been trying to track down photos of Barry Street. Is the coronation photo in the public domain would appreciate any information. We are trying to find the baptismal record of Albert Flanagan. He was born in 1899 or 1900 and the family lived at 127 Rosalind St at that time. Parishes have all been mixed and joined together since 1900. Rosalind Street was in Kirkdale parish from 1844 onwards, with St. Mary’s as the parish church. Hope this is the information you’re after. You might have already found your baptism record for Albert? but just in case I have found one:parents John – mother Margaret Greenup? Albert Ernest b. 1899 baptism record for St. James – this Church has not been transcribed by Ancestry – but you could try William Brown Street Library – call ahead first – just to check that they hold the records. This couple had a least another son called Gilbert who was b. 1900 baptized in the same church. I was born in Brasenose Road ‘up on the landing’, and have been trying to find a photo of it, without success. We moved, in about 1954, to Snowdrop Street, number 25. Later we moved onto Stanley Road, opposite the Gordon Institute. My Dad worked for a time at the BAT in Brasenose Road, next to or close to Brooke Bond Tea. Very interesting to read your site. Thanks for your comments – so glad you like the site! If I find a photo like the one your looking for, then I’ll let you know. If you go on ‘The Bootle Times Past &Present’ site,there are photographs of Braesnose Road on there. I found some old census records from 1891 that show my great great aunt living at 4c Trent Street in the Kirkdale area of Liverpool. The street no longer exists and I’d love to find an old photo of Trent Street and more info about the street and area where she lived. I also found a reference to St. Aiden which may have been the local parish at the time but I’m not sure. Trent Street has indeed disappeared, and was one of the very small streets in Victorian Kirkdale. It was in the parish of Liverpool St. Martin in the Fields (if I’ve lined up my maps properly – it’s near the border with Kirkdale St. Marys! ), but St Aiden was certainly one of the local churches, possibly just inside St. Mary’s parish. Glad you’re enjoying the site. where exactly are these cottages near or on back westminster road? ?, I would also like to know whats was that building used for which is on the courner of rumney road and westminster road facing towards goodhall street. There are a couple of cottages on the north side of Back Westminster Road, numbered 4 and 6. These are the ones I’ve referred to in my earlier comments. The building on the corner of Rumney Road isn’t marked as anything special on the maps, and I think it would just have been a very large house. The inhabitants of this area, when the house was built, were very wealthy, and this part of Kirkdale was much sought after. If you look at the map of 1894 (below) then it makes more sense when seen amongst other houses. It’s larger than the neighbours, but developers often added bigger houses on the end of rows in order to make a little more money. It would probably be occupied by someone slightly higher up the clerical scale, or the owner of a more successful fleet of ships. Just noted a reference to the large house on Westminster/Rumney Road which was a Doctors surgery when I was living in Hogarth Rd. This was in the late 40’s into I think the 70’s. I stand to be corrected…. I am trying to find out any information about Commercial Road in the late 1800s. My great grandfather Walter Jenkins (son of William and Margaret) was born in 1877 and records show he was from 260 Commercial Road. I would be very interested to hear any information you have of Commercial Road and the area etc from that time. I have tried looking it up but it has obviously changed very much since then! I live in a house in Dumbarton St, off Carisbrooke Rd. In our cellar is the original Cast Iron Aga, and copper washing point. I have researched the census for earlier family etc. and found that one of the previous tenant’s sadly passed away in the First World War. He was in his early twenties. Also our house seems to have luckily had long term occupiers, we didn’t even have house deeds for the house because the previous owners had lived there for that long, I can only trace the history back to two previous families, from the year it was built 1879. Any more info or photo’s would be much appreciated. My grandmother lived at 126 Westminster Road in the back of what had been a shop until she was rehoused to Huyton in the early 1960s. I remember visiting when I was little. There was a really old fashioned sweet shop on Westminster Road I think it was kept by two old ladies. My mum used to go shopping on Walton Road and always bought our Christmas turkey in Costigans. My mum worked for Delaneys before she was married. Thanks Pauline! It’s amazing what information we can pull together when everyone pitches in! Would the name of the barbers be Hamsons or Hampsons or Hansons? Both my dad and I had our hairs cut there throughout the 1950s. I also had an after school job, age 13, working for Bert Robertson the butcher on Westminster Road near Medlock Street. I needed a schoolboy work certificate issued by the Department of Education in Sir Thomas Street. (No child labour issues back then !!) I lived in Orwell Road but moved to Kirkby in 1960.
all about the old neighbourhood. The Sweet Shop that you mention on your post do you have any more information about it. My great grandmother Catherine Merrick owned a confectioners shop on Westminster Road. Do you know the name of the shop you mentioned or the number on the road? I believe the shop was number 70 Westminster Road. I would appreciate an information. Was the shop called Cassidy’s. It was next to a pub called the Halfway House on the corner of Whitefield Lane. Is there anybody who went to the old St John’s RC SCHOOL on Sessions Road, Liverpool in the late 50s, early 60s. Yes I did then went on to the senior boys in latham street, I left school in1963 and went to work as a carpenter. Hi Martin, I went to St Johns Lathom Street huts and left school the same year as you 1963. We might have been in the same class ? I remember a teacher we called Framie ! he had a habit of inflicting pain by pulling the hair alongside your ear. Mr Murphy, Mr Burke, Jack Daybell, Mr Taylor the headmaster who gave me 6 of the best for sagging school for one day. Some of the lads I knew Billy Miller, who lived in the buildings in Owen Road, Peter Fagan, Tony Feeney, Brian Murphy. Jack Daybell was a member of Sefton union rugby club in Leyfield Road West Derby, Jack sadly passed away last year. And if you manage to avoid the cane, there was always the chance of running up against Father Hopkins. Happy days. Hi Lynn, I went to St Johns from the late fifties to the late sixties – great May prosessions ! No the shop was definatly on Westminster Road number 70, I have seen the address on the 1911 Census, but thank you for your post back. I wonder if anyone has any old pictures of Westminster Road from around 1910 – 1939, any at all just so I could see what it was like as Westminster Road now has new houses there. Nelly HOys (Cassidy’s) was on Westminster Road, but Whitefield Lane was just around the corner. I lived right by it. My Grandma always referred to it as Nelly Hoys as that was its former name. I was told it was on the dock road and it changed its name to the commercial arms? My mother says they had a soup kitchen which served to people queuing up many children in bare feet. My grandparents surname was Coburn. I would like to thank Elizabeth Rogers Ross for the information about Fusco’s ice cream parlour and the reason for his change of name. It was a source of confusion for me for a long time. However it didn’t detract from my appreciation of their delicious ice cream which has never been bettered to this day – thanks Elizabeth for reminding me. Thanks also to you Martin and your correspondents for all the memories of old Kirkdale, too many to mention but what pictures they conjure up. I could go on but I want to get back to reading them again – power (forgive the pun) to your elbow. I think the house on the corner of Rumney Rd was a doctor’s surgery – certainly in the 1940’s & 50’s when I grew up in Hogarth Rd. I believe it was owned by a Dr Godfrey and had it’s own dispensing facilities. Another doctor was named Pottinger anyone remember them?? Yes I remember those doctors. They were not mine but I do remember them. No, Dr Hillman had his own practice in the middle of Westminister Road, much further down from Dr Godfrey. Dr Hillman was my aunties doctor. I was born in Howley Street in Kikdale and we left there when I was 5 – some 42 years ago now! I read your message with interest, wondering whether we are related. I too am a Crawford who lived in Kirkdale. My father, Francis Crawford. lived at 19 Rickman Street before he was married in1934, although I think he had at some point lived in Howley Street, which seems no longer to exist (I delivered papers there in the late 40s! – 8 & 18 – ?). I lived in Stanley Rd from birth (1936) until 1950. My mother owned a newsagents/tobacconists, first at No 188, until this was damaged in the May blitz of 1941, and then at No 164, about 4 doors from Lambeth Road. The blitz did a lot of damage to this area with the numerous bombed sites in Harcourt St, Crealock St and Lambeth Rd acting as football and cricket pitches for us kids. Even the building next door to us (166) was totally derelict through bomb damage. On the corner of Stanley Rd and Lambeth Rd was a bakery (Arthur’s). As a 5/6 year-old I often went into the basement where the bread was baked (what would Health & Safety make of this?). A very pleasant young lady called Sally worked there. The other shop I frequented was a paint/wallpaper shop half way between Lambeth Rd and Easby Rd run by a Mr Burrows. Opposite 164 was greengrocers – can’t remember the name, but the manageress was Cissie. Next door to this was a gents outfitters owned by a man called Len Heaton. A few doors away was another newsagents/tobacconists called McCabe’s, with Sally’s chip shop next door to that. Next to Lambeth Rd was Reading Street, a notoriously tough street, running from Stanley Rd to Commercial Rd. My mother used to say policemen went down it only in pairs – I was forbidden to go down it at all. I remember well Fuscoe’s and Aindow’s, the two ice-cream shops mentioned by another contributor. Getting ice-cream for the fist time after the War was very exciting. I know you were addressing this comment to Joan but just wanted to say thanks for sharing all these memories! If this site is to become a great resource for those researching their own and their family’s pasts, these recollections are just what we need! Hi Ken. Sorry no Crawford is my married name. I was born in December 1966 and we left when I was 5 when everyone was rehomed in other estates. What a memory you have though! Hi i grew up No 9 suffield road 1950-1962 i remember joe dodds horse and cart yard next to the “rec” as we called it, remember taking baths at the bath house,went to westminster road school then on to Lamberth road,both my parents were profoundly deaf mum worked at Burtons and dad travelled to S,port daily to work,dad won the vernons 62 and we all left for S/port. I lived in Reading Street till it demolished,moving to Kirkby.I have a large collection of Kirkdale photos and the surrounding area on my flickr site here. Those photos are amazing! So much beauty and colour in everything from graveyards and the Pier Head to construction sites and docks. Thanks for sharing them! Hi. I’m trying to put together enough information about my father in law, Pat’s father Joseph Killeen to make a useful trip up to the area for my FinL see where his father was born. His Grandfather, James Killeen was Irish but married a local girl, Jane Nuttall. I can see from the birth certificate that they were living in Howley Street Kirkdale when Joseph was born in 1898. I can’t find Howley street on a current map but I see that in Oct 2014 Joan Crawford says she was born there in about 47 years ago. Has it been demolished or renamed? and if so where would I look for it now? James was killed in a tram accident around 1900 and Joseph was taken back to grow up in rural west Ireland whilst his mum stayed in Liverpool and he lost contact with her. Is it likely that he would have been buried in Anfield Cemetery? Your question has led me to some really interesting research! Howley Street has been renamed to Newman Street, but all the streets around it have kept their names. You can see it with its original name on the Plan of Liverpool (North Sheet) of 1890. As for reason for the name change, I’m not sure. However, all the roads in that area are named after bishops, and at least some of them founded Oxford colleges. That fits in with the theme of naming roads in Bootle and Kirkdale after the colleges themselves (Merton, Exeter, Keble). It looks from his Wikipedia article that Hooley was a little controversial, being an Anglican archbishop with Catholic (though not Roman) leanings. Perhaps there is something in that, especially knowing north Liverpool’s history of the two religions. I might follow this research up and post it on the Liverpool Landscapes blog. It is by all means possible that James was buried in Anfield Cemetery, which had already been open for 40 years. I hope this is of help to you, and best of luck on your visit to Liverpool! I’m not sure whether you’ve found out anything more about your ancestor (Patrick) James Killeen but he was buried in Ford Cemetery on the 15 July 1900 and is in a public grave. There was a Coroner’s Report which you might find at William Brown street Library. Howley Street ran at right angles to Fountains Road. Newman Street is shown in the same position but I cannot work out if the houses there replaced Howley St or just renamed. Grid C5 on this map. Mary Jane Nuttall (b 1875 St Helens?) married Patrick James Killeen (or Killon) Qtr 3 1898 at St John Kirkdale. Michael Joseph Killeen born Q4 1898 baptised St Johns seems to be registered as Joseph Michael Q1 1900. There is a James Killeen buried at Ford Cemetery Died July 1900 age 35 Plot 2889. Mary Jane (Killeen) married Alfred W Gidman 25/12/1902 at St Saviour Everton. There seem to be possibly 3 or 4 children from the marriage? Thanks for helping with the family history, John, and your information on these streets! Regarding the houses, looking on Street View the houses on Howley Street look the same age as the ones in the surrounding roads, so I’d guess the road was renamed. Someone on Twitter has seen that the road changes its name to Newman on the other side of Fountains Road on the 1928 map, and must have had the full length change its name sometime between then and now. I am new to this site – so please forgive this late reply. I have found some things out which you may or may not have. I have the marriage cert. of Alfred Gidman & widow Mary Jane Nuttall aka Killeen, as you mentioned in the 1911 they had 4 children, sadly Edward died, but there was Alfred, Ernest & Doris – however I have the 1939 pre war census & there is Elizabeth born 4 July 1917 she later marries someone with the surname of HOWARD on the 31 August 1948. Alfred Gidman is now a widower living at the same address with another family member but who was still alive in 1991 when the records were last checked, so their details are redacted due to the privacy laws. More importantly I have found a photograph of Alfred (Edward) Gidman aged 17 b. 1903 which I would willingly forward to you – I have also just found his baptism record. In 1912 George Gidman is born followed by Martha in 1915. Hi Jane, saw your comments and have tried to give more info to John. I would love to have the photo you mention of Alfred Gidman. Alfred Gidman b1875 had the same grandfather as myself (Edward Gidman b1809), so we are distantly related. Sorry for the late response – at 2 major home disasters which kept me well & truly busy!! Within the next few days I will go back over my notes & pull up what ever I can find. If there is anything or anyone else you would like me to search for – please don’t hesitate to ask & I will try my best for you. Hi John, only recently found this lovely site, but have some more info on the Gidman/Killeen. Alfred’s grandfather was also mine, so we would be distant cousins. I belive the following is accurate; Alfred b1903 went to the ASA and died in 1989. George b1912 also went to the USA. Hi there, am undertaking some genealogical research for someone whose grandmother, Marie Edwards lived in Wolsey Street for a time and also worked for an ‘American family’ in Fishguard Street, probably some time in the mid to late 1920’s. Any thoughts, thanks. What a surprise to see a mention of Illingworths of Tawd Street. I remember the cows in the shipping and the horses stabled in Westminster Road. The feed was obtained from the grass cuttings in Anfield cemetery and from the discarded leaves of cabbages, etc., in the Haymarket in Great Homer Street. My brother, Edward, used to work there in the 1940s/1950s and, whilst a schoolboy, I used to help there from time to time. I have just stumbled on this site, it has brought many childhood memories back and I recognise one or two names.My parents Mabel and Tom ran the shop at the corner of Wykeham st and Orwell rd in the 1960/70’s. I was born in Briar st, the youngest of four children and attended St John’s. As a kid I loved to listen to the old tales from my grandmother, my parents and older siblings. My dad drank in the Orwell pub in the days when Tom Cross was the manager, apparently he refused to serve women in the bar and one small lounge was called the ‘Blocker’ parlour, (Blocker referring to the bowler hats that the gentlemen wore,perhaps that’s where the saying ‘knock your block off’ came from? )so Im assuming local businessmen of the time must have frequented it.Growing up in the 50’s and 60’s, it was a rough and ready area,with a few bad apples, but in the main, most people were highly respectable, with a great sense of family and community values. Irreplaceable memories of a happy childhood. Thanks, Phil, great to hear those memories! I always love to hear about characters like that landlord. It seems people really enjoyed growing up in the 50s and 60s, even if they knew that life was a little tougher back then. I think it made character! Thanks for your reply. I agree entirely that tougher times created stronger more colourful characters.My grandmother was an incredible person, a walking history book no less. She was born in 1877 and lived to be 100 years old.Her husband, my grandfather, was gassed and died in the First World War, leaving her to bring up nine children alone,and that was in the days before social security! Her amazing stories were always told in a matter of fact manner. I would sit enthralled when she recalled emigrating to America as a little girl with her Irish mother and Danish seafarer father where she actually saw Buffalo Bill’s Wild West Show. Her father couldn’t settle there and so they returned to Liverpool. She lived most of her life at 1a Lambeth Rd opposite Tillotsons factory. Everybody in the neighbourhood knew her as Ma Lewis. A truly remarkable woman. What a story! I always admire the courage to move overseas in hope of a better life, but what a fighting family to decide to come back again! They all must have had many stories. Forgive me for not replying sooner, but I haven’t been on this marvelous site for a while and have only just seen your reply. Thanks so much for your memories, you were right in every detail! Our Tom will be thrilled I’m sure when I tell him.He relishes old stories especially Kirkdale related ones! Sadly he had a stroke several years ago and is now in a nursing home off Walton Vale.His memory is perfect and he understands everything said to him, but unfortunately his speech is badly impaired. I visit him most days to take him for a pint as he is wheelchair bound and I will definitely pass on your good wishes. You could even visit him yourself if you so wished, just let me know and I’ll arrange it. I have just found this site by accident and it is brilliant. I was born in Fonthill House, Owen Rd. The area was known as the buildings and between each block there was an area known as the Horse Shoe were we used to play tweny a side footy. Fantastic, the ages would vary from 6 to 18 year olds but we all got stuck in, great days. i also went to st Johns in fountains Rd and then on to English Martyrs untill me dad moved us all over the water to ellesmere port. This has brought back great memories of friends gone by, Mike walker, Jay Salter, Sonny & Charlie Marshall and Dave Keaton. Great times great memorie. Glad you like the site! I too remember massive footy games in the park, but I don’t think we hit 20 a side! Great to hear about your memories. Hi, I remember some of those names from my infants class at St John’s before boys were separated from girls. My teacher was Miss Brunning. Only just came across this site February 2016. It brought back so many memories of my youth in Kirkdale. I have recognised several names already. I grew up in Suffield Road, Kirkdale, and attended St. John’s and Everton Valley. Since 1961 I have lived in New Zealand. I remember both Mary Fusco and Theresa Aindow at the Valley. To a John Harding, North Dingle, was it your sister, Dorothy, who also went there? You mentioned Paul Raymond – his older brother George has been a life-long friend who sadly passed away in 2015. John Lloyd at No. 9 Suffield, I remember your parents and when you were born! In the early 50’s I met a very old man who lived in the Kirkdale Homes – he was a survivor of the Titanic disaster! We all played out on The Top and in the Rec ! Of course, our generation remembers the War, my Dad served in the Royal Engineers and was in the D Day landings. So many friends’ Dads never returned, quite a few torpedoed in the Atlantic by the U Boats. The happy VE Day party in our street when it was all over. Thanks for sharing all the memories folks. Thanks for sharing your memories here too. I hope it’s helped you reconnect with a few old faces. It’s amazing what the city went through socially in the war. I was born in Rockley Street in 1948, this was my grandparents home. My parents moved away when I was about 5. I just came across this website today, & I have left a message to anyone who would like assistance in researching their roots. I have just found John & Amelia Graham living at no: 52 Rockley Street, John worked as Dock Gate Man for MD&HB, b.21 May 1892 & Amelia b.16 April 1898. There are at least 3 other people living in this household – but due to the 100 yr privacy act their details have been redacted. Are these people your grandparents? Thanks so much for helping some of my website’s visitors to find their ancestors! I’ve told Bill that I can pass on his email address to you if he gives me permission. Also, I can pass on your email address to him if you’d like. I’ll email it to him rather than publish it on this site. What a great site – please feel free to give my email to Bill – hopefully I can help him trace his roots. And the offer goes for anyone one else – just bear in mind the 100 year privacy act regarding census records, as for Merchant Navy records they stop at 1915. Hi Jane, I saw that you were offering help on family history and wondered if you could help me. My 3x greatgrandfather was Peter Guy b1779 in Prescot, parents John & Anne. He ended up in Liverpool and died 1853. I have been unable to find the birth of his father John, but from his death about 1820 it would have been about 1750. I believe he came to Liverpool from Prescot, but cannot find how he might be connected to Guys already living there. Hope you can help. It’s really great to see you’re getting help with your ancestors! Jane has mentioned wanting to send an image to you, so if you give me permission I can pass on your email address to her. I won’t publish it on this website (for your privacy and security) – I’ll email her directly. thanks, this is a great page and is helping me understand my past. Hi Heard an interesting claim on Radio Merseyside a couple of days ago. Apparently Newby Street in Walton is the only street/road in the City to have its house numbers the other way around to the norm, ie from the town hall. Any info? I have a grandfather who was born in Lemon Street, Kirkdale. In the late 1880s. Does anyone have any interesting photos or information? The Entry of Birth is 7th April 1878. Born at 58 Lemon Street, Kirkdale. Father was Thomas Fargher, mother was Sarah Ann Fargher nee Ryley. He had a son, Thomas WILLIAM Fargher, born in Johannesburg by a second wife( first died of consumption and we know little if nothing about her). 14 Nov 1922. I see little is left of Lemon Street and I believe due to WW2. Would love to know if anyone has photos of the street and around the time of 1878.
they were b. abt 1785 they had at least 3 other children. They were farmers & in 1841 Thomas is also a Farmer. On 18 July 1839 Thomas married Susannah Christian she is the mother to John Fargher. I have just found a “later” Thomas traveling on the Carmania 4 May 1912, occupation SMITH leaving Liverpool bound for New York. I also have found William’s brother Richard b. in 1876 living with wife Lilian & son Richard living at 273 Lower Breck Road. I could look for more but if you can tell me as to what you have already then I can concentrate looking in other areas. If you have non of the aforementioned, then have Martin pass on my direct email & I’ll gladly forward the images to you. Hi Jane, I would love a copy of your document and have asked Martin to forward you my email address. Look forward to hearing from you & would just like to add – Martin “You’re a great host for doing what you do!!! Thank you for your kind comment! I love doing this website, and am so glad you’re able to add your own knowledge in here too! Thanks Jane. I agree, Martin is doing a great job. Hi – I just found this site as my cousin is visiting from the USA and we are trying to piece together a very fragmented family history. We Share the same Great Gradparents, John Pearse and anna Wharitty pearse who moved to Kirkdale in the late 1800’s and who had 10 or more children. My cousins grandma was Agnes Pearse who married a John Gray, and then when he died in 1915 an Edward Pugh, and my Grandfather was John (Jack) Pearse who married a Margaret ann hughes. they lived in Fonthill Road and the whole pearse family was in some way connected with the Merchant Navy. The Pearse children were Richard, Francis, Patrick, Agnes, Sissy, Honor, Dominic, John, Joseph, Margaret and possibly others. Does anyone know any of these names? Thanks, and will just go through and have a good read!! I’m also Jane & I have possibly found all your Pearse boys, with photographs & birth records for their time spent with the Merchant Navy. I would love to forward the images to you – but I think we have to go through our web host, the incredible Martin. So without further ado – Martin – you have my permission to forward my email to Jane. In St. Augustine’s RC Church the following children were baptized:- Ann Maria – 1873,who married Richard Tuer in 1915 & then later emigrated to the United States and received her citizenship in 1941. The only one that is missing (yet) is Sissy however I have all the baptism images of the aforementioned. Please let me know if you would like them? It seems like everyone’s gone quiet? Is Liverpool basking in glorious sunshine – we’ve had high 70’s already & no snow – thank the Lord!! Hi Jane, I still have not recieved a reply. I have asked Martin to give you my email. Could you please see if he has heard from me. Can you let me know if you get this mail dated 14/04/16. I check the site nearly every day – so I think Martin’s on Crosby beach basking in 80 degree’s of sunshine – only joking! Hope all’s well Martin & I’m sure whatever the delay – we’ll get there in the end. Thanks Martin – it must be the 8000 miles between us – never gave it a thought to check that. There you are stuck in the middle with all the other junk!! which I never knew I had. Hopefully Jane H will get in touch as I have the photo’s of all of her Pearse siblings, it seems all but a few of the family emigrated to the States. And also found out that the missing Sissy was the nick name for Ann Maria. Thanks to this website and additional help from Martin and Jane I am now able to start researching my family history. Hollerhead or in fact a Graham – Hollerhead. Jane very quickly established the spelling of my grandmothers maiden name as McGrae. I know I had an uncle Ernie and he was known as Ernie Mack, I wonder what his relationship to my grandmother was as he was born a couple of years before my father. Once again a big hanks to Jane for the rsearch she did for me and to Martin for a great site. Great to hear this tale of your family history research, and so glad this site linked you up with Jane. I hope others find the site as useful as you have. What a website all, thank you so much for this. Bill, I am currently searching my family tree and I am a Hollerhead. We have lived in and around the Kirkdale/Walton areas since the 1950’s. Hi Joe, I would love to get in touch. My family lived in the same areas until the early sixties. There is some confusion over the surname which I am trying to sort at out at present, but unfortunately all the close family are deceased. I will ask MARTIN to pass on my email to you. Can anyone help or give me any information/photos about Aldams Grove (off Westminister road, Kirkdale) I lived there from the early 70’s until all the houses were demolished in the 80’s I’ve been on loads of sites and groups trying to find something. Everywhere around the grove is mentioned (nixons factory) but that’s all. Like you, I can’t find anything on the street itself. Is it just general information you need, or would you like to know something specific? According to the 1851 census I have just received, my 3 x great grandparents Gordon and Ann GRANT and their family and servants lived at 7 Blackfield Terrace, Kirkdale. Can you tell me if there would be any existing records, photos or information around this. Gordon J J Grant was a tobacco broker. My name is Jane & I read your post – I took the liberty of checking out your ancestor and have found his marriage certificate and death details as reported in a coroners report – if you already have this information please accept my apologies for the intrusion, if you don’t please feel free to contact me. I was born on Barlow Lane in 1965 and lived there until 1976 when we were cleared and the houses later demolished. We lived in no.30 and I remember Wally Dean’s glaziers shop at one end, and Burtons at the other. Been trying to remember the name of the little chippy on the same side as my old school St Lawrence? Does anybody have information on photographs showing “our” side of the street, what was the even numbers? All pictures seem to show the pub side,the houses still remain, but cannot find any of our old Victorian ones with the steps up to the doors. Colourful was a good word for the area in those days! I remember a huge commotion one Saturday night as someone broke Burtons window and rode off on a motorcycle attempting to keep the fully suited and booted window dummy on the back as a very unsteady pillion passenger! At the end of Spellow Lane, near the ‘Royal Oak’ public house there is a busy road junction (Walton Road, Barlow Lane, Carisbrooke Road, County Road and Spellow Lane). In 1940 there was an underground public toilet in the middle of this junction which was being used as a shelter from the bombing. On the evening of 21st December 1940 the toilets, which were packed at the time, received a direct hit killing most of the occupants. Only five bodies could be identified. Others were removed to the mortuary and later buried in a communal grave. There are accounts which suggest that the bomb crater was filled in before all the bodies could be recovered. It is thought that some years later a memorial plaque was placed on the pavement outside Burtons at the junction of Walton Road and Barlow Lane. This has still to be confirmed. I’ve seen someone else on another forum asking about the same issue, and a fellow contributor pointed out that the bodies were always recovered, and any destroyed buildings were made safe. This would be for general safety reasons, but it would also make recovery of the bodies easier. Apparently stories like this one, of bodies left behind, were common in those days! The shelter is marked on the 1949-54 map, so no doubt the story of the direct hit is all too true. My parents, aunts and uncles are all dead, but I remember my aunt and my dad talling me that my grandfather was blown up around that period and in that area. He died in my aunties arms, she was only a young girl at the time, so your post was very special to my. My aunt talked about this all of her life, she loved her father very much, so although they are gone, I was told it happened and her father is buried I think in Ford Cemetery. I was brought up around that area as well and know exactly where you mean. Sandon Road was on the spot now occupied by Genista Close north west of Walton Hall Park. You can still see Gladstone Road, and Sandon Road was two roads north, as you can see on this map of north Liverpool. You can see Sandon Road in the far bottom right, and Gladstone Road is two roads further right, off the map. Note that on that map, north is to the left. Aunt Sally , Bleach and Pine , 3 for half a crown . We would buy them for 2/- ( two shillings ) and would make a tanner (6d) on each transaction . Not bad for 8 and 9 year olds them days. Can’t remember who owned the shop , anybody know? You you be so kind as to contact Andy Craig for me – replied to his post. Its been quite a while & I wondered if you had any joy contacting Andy Craig. I’m in frequent contact with Joe & Lily (Mussell) Saunderson and have helped them fill in all the gaps regarding their family tree. I emailed Craig on 15th February but never got a reply. I passed on your email address to him but I’m guessing he never got in touch? Just another snippet – met someone here in my tiny little town – called Peter Reid. He studied at Liverpool University as a teacher, he also assisted at the Rydal Club – off Scotland Road, during the early 60’s. Peter was also friends with the owners of Bibby’s and apparently they were kind enough to lend Peter and his colleagues Bibby’s work vans – these would be used to ferry groups of kids from the Rydal Club to the Lake District or Wales etc. Amazingly Peter was a keen photographer and he captured scores of photo’s of the kids having a wonderful time. Not only that but nearly all of them have their names attached to their photo! If any of your followers remember such a time or were a member of the Rydal Club and would like a copy of any of these photo’s please contact me and I’ll be more than happy to pass on the happy memories. Eldon Grove was built in 1912 as workers houses, by Liverpool Corporation. It was a relatively grand looking building for the poorer people of the time, and was placed close to the docks where the residents would have worked. It was later used as student flats, I understand, but has been derelict for a long time now. I’ve not heard any stories of the place being haunted, but it’s definitely the kind of building which attracts those kinds of rumours! My mother had a dear friend whose nickname was Rusty, because of her rusty coloured hair. Rusty worked at Hobbies for many years during WW11 & later she ran a B&B somewhere around the Break Road area through the 1970s-1980s. Among her guests where the many stars and entertainers who appeared at The Empire & other Liverpool theatres. I would love to know more about Rusty, who was a lovely character. I believe she was a widow with no children. Her full name would be helpful but the only thing I can remember is that her nickname was also a short version of her first name, which was something like… Ruzena or Ruzenah, Ruzenka, Ruzenkah. Can anyone help? I am trying to establish exactly when the spire of St Lawrence’s Church in Barlow Lane was damaged during WW2. Any information would be greatly appreciated. I went to St. John’s infants, junior and senior school from 1951 till 1959. I then passed the 13+ and went to Cardinal Allen Grammar School. I grew up in 1 Barlow St. and were rehoused in 1962 in a Council house in Stoneycroft. I well remember Mr. Fraine and his habit of lifting lads by the hair above their ears. The other teachers were great including Mr. Murphy who used to take more senior classes to Avocado Vale in Arklow where he originated from. I have lots of stories from that period if anyone would like help with any research. It should have read Avoca Vale. When I was 15 I worked in a geengrocers near to Hampson’s barbers on a Friday night & a Saturday. It was owned by Peter Rees and his brother worked for Jeff’s butchers next door. I have to say Peter was probably the nicest person I have ever met. I believe he ran Peter’s Packaging for a long time after that. I am wondering if you can help me regarding S A Joynson’s shop on Westminster Road. S A stood for Sarah Alice – my great grandmother, who I believe set up the shop after her husband Edward died young. Also, I would like to know about Medlock Street, where my father was born in 1923. I note that it is now a waste ground, but would be interested to see if I could find a street plan. Another reader asked about Medlock Street back in 2012, and I replied with a bit of information there, so click that link to find out more. There is a street plan of Medlock Street on this site (look to the east of Kirkdale Gaol), from a little earlier than when your father was born, but no doubt it looked roughly the same. My family have links with Kirkdale….my mother was born in Pluto Street and many of her family lived here during the early 1900s. Sarah Alice McKie b. 2 August 1870 – she married Edward Joynson in 1896 in St. Mary’s, Kirkdale. Sarah had a brother John Alexander Fletcher McKie b. 21 August 1868 – d. 21 February 1872 & is buried in Anfield Cemetery Consecrated section 10, plot 970. If you wish to know more & I haven’t offended you – please let me know & I will gladly forward whatever I find out. If you already have this information – please accept my apologies. You most certainly have NOT offended me. In fact, I am very grateful for this information. I recently visited Kirkdale and Walton, but as it was on the last day of my trip, I was not able to stay long. My sister and I are hoping to visit over the summer holidays (we both work in education) and any clues such as this are most useful. This is brilliant stuff, thank you so much for it. In another posting you mentioned about how this area was a bit better off than most. That adds up. My grandfather was a shipping clerk and my father was for a time, an apprentice accountant. Later he worked as a boilerman in the David Lewis Northern Hospital prior to joining the Royal Marines in 1942. What would also be interesting to know is what schools he would have gone to. Many thanks for this again. Was that posted by you? I haven’t been on Historypin for ages, so was quite shocked at the coincidence of seeing the name Joynson there! No, it was not me, though I have posted a reply. The name of the shop on Westminister Rpad called Cleanso, was owned by Mr Thomas Lynn, ge was my Uncle. Can anyone remember Byron/Byrom House tenaments. Does anyone know where Byrom Hse was located exactly, I know that part of it was bombed WWII. My mum lived in 9B and was called Marie/Maria Cleary, born 22/3/1933. She had a sister Frances older than her and who died of TB aged 18. Mum worked at BAT for a short time in her 20’s. Her siblings were older – Frances, Kitty/Kate (married Paddy McArdle and lived in walton), John (died in Burma), Jimmy, Lizzie (married Billy Frost & lived in Immason St, Walton), & Gerard (had a son Christopher?). Ann Marie. I don’t know if it’s any help to you but as early teenagers ( I don’t think the term was used in those days ) A gang of us used to hang around together. We mostly went to St.John’s senior school. The boys and girls were separated in different buildings. The boys went to the dreaded Latham St. Huts. The purpose of my entry here is to say that a Patricia McArdle was one of gang along with Cathy McClusky. They had both previously lived in the ‘ buildings but they had both moved to new build houses of n Walton Lane opposite Anfield Cemetery. Billy Rotherham born 1946. Hi John , my husband grew up in 29 Suffield Rd , his family probably knew yours. He was born in 1948. Left when he joined the Royal Navy. He would have known some of the same people as you. My name is Kevin Mussell was born in Crelock street kirdale 1961 went to St Johns then the English Martyrs, loads a memories flooding back from a very tough but happy neighbourhood any one remember me get in touch. Regarding your surname – I have a direct line to a Mussell family in my family tree & have made connections with other Mussell connections via this forum – would you be interested to see if we have a connection? Yes no problem would be really interested to here more. Looking forward to hearing from you – please Martin can you forward my email to Kevin or shall I just add it to the comments box? My doctor was Dr Simon. Such a great doctor. Don’t remember the zgartivk though. It was a little way from where we lived the top of zLeven Street by zjRumney Road.